William McCready (born about 1799, Ireland) and his wife, Jane MacIntyre, (born about 1818, Ireland) have proved to be difficult to trace. So far, we have found them in Westmorland, Yorkshire, Cumberland and Aberdeenshire. They had two children, James and Catherine. James married a widow named Alexandrina Graham (nee Main) in Montrose in 1868. They had two sons, William Gowan and Francis. We know nothing more about James after the birth of his children. He does not appear on the 1881 census with his family, nor have we yet found his death record. Catherine, her first husband John and their son have posed many questions over the years. We hope someone who reads this will have some knowledge of the family. On 6th July 1869, four days after her 16th birthday, Catherine McCready married John Jontin at Kirby Lonsdale, Westmorland. John was a 33 year old umbrella maker. Jane McCready ( we assume Catherine's mother) was one of the witnesses. This is the only time we have found John Jontin in any records. On 25th March 1870, at Huntly, Aberdeenshire, was born William James Jontin, son of Catherine and John. The birth was registered by Jane McCready. On 8th April 1876, Catherine married again, her husband being James France . She was recorded as a spinster named McCready. Janet McCready who married John Gilchrist and may have gone to Australia. The couple appear to have had a daughter Jean in Lanarkshire in 1927. Joan McCready about whom nothing was known. We could only assume that Catherine never told her son the truth about his father. However, we have now found William's death certificate. He died in 1941 in Lockerbie, Scotland, and was registered as William James McCready, formerly Jontin. So he did know his real name! But why the change of name? Why did Catherine claim to be a spinster when she remarried? Why did other members of the family not know? Whatever became of John Jontin? And, it may be just coincidence, but why have we also lost Catherine's brother, another umbrella maker, after the time of the 1871 census? 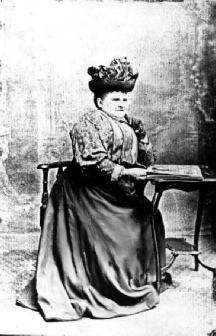 Mary Money, supposedly of Downpatrick lived much of her adult life in the Parish of Ancroft in Northumberland, as the housekeeper of Thomas Ogle and the mother of his children. Whether they ever married has yet to be decided. Andrew Jessop, who settled in Whitehaven, Cumberland, was born in Ireland around 1775. Ancestors of this name reputedly came from Ireland. Since publishing the above, we have made progress on the McCready story. Please get in touch if you have any connections or are related to a man named Donald McLeary.